VERY rarely do you see two headlines that are exactly the same. However, the Daily Telegraph and the Daily Mail managed it with ‘Melania Trump – An Apology’. Both papers had to print an apology for defaming the First Lady of the United States and pay her damages. 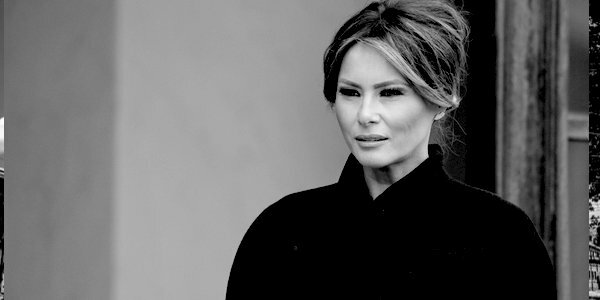 On Saturday, the Daily Telegraph said: ‘Following last Saturday’s (Jan 19) Telegraph magazine cover story “The mystery of Melania”, we have been asked to make clear that the article contained a number of false statements which we accept should not have been published. Mrs Trump’s father was not a fearsome presence and did not control the family. Mrs Trump did not leave her Design and Architecture course at University relating to the completion of an exam, as alleged in the article, but rather because she wanted to pursue a successful career as a professional model. Mrs Trump was not struggling in her modelling career before she met Mr Trump, and she did not advance in her career due to the assistance of Mr Trump.” It continued for another two paragraphs. In April 2017 the Daily Mail ran the following apology: ‘The Mail Online website and the Daily Mail newspaper published an article on 20th August 2016 about Melania Trump which questioned the nature of her work as a professional model, and republished allegations that she provided services beyond simply modelling. The article included statements that Mrs Trump denied the allegations and Paulo Zampolli, who ran the modelling agency, also denied the allegations, and the article also stated that there was no evidence to support the allegations. The article also claimed that Mr and Mrs Trump may have met three years before they actually met, and “staged” their actual meeting as a “ruse”. That makes two Right-wing publications which made the expensive mistake of defaming the First Lady of the United States under a Republican administration. Perhaps our readers can enlighten me as to why the Telegraph and the Mail would do this. Perhaps it was snobbery: Melania Trump was ‘just’ a model and not a lawyer like Mrs Clinton and Mrs Obama and therefore they felt she was fair game to make insinuations about her career as a model. Perhaps Mrs Trump being Eastern European and making it all the way to the White House as First Lady is what sticks in the throat. And I have no doubt that even these two publications, the Telegraph and the Daily Mail, are suffering from Trump derangement syndrome and the siren call of their Leftie mates proved too great. This was one way to ingratiate themselves with said mates. But whatever the motivation, it turned out to be an expensive mistake.